Stunning timber effect finishes will make your bathroom absolutely memorable. Our wood grain melamine is a low-pressure laminated. 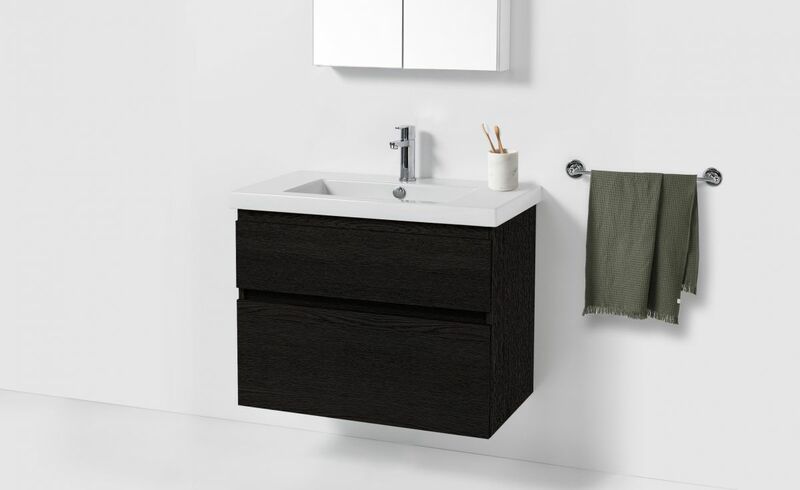 Colours are available in Charred Oak, Driftwood, Manhattan Elm, Southern Oak Wilderness, French Oak Wilderness and Nordic Ash. 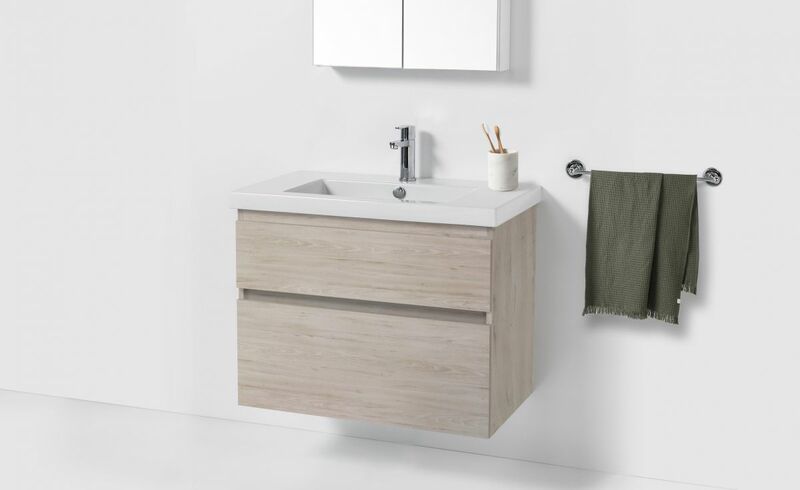 We use a high-performance modern acrylic for our bench tops to ensure a hard but smooth finish that is water-, scratch-, heat- and stain-resistant. 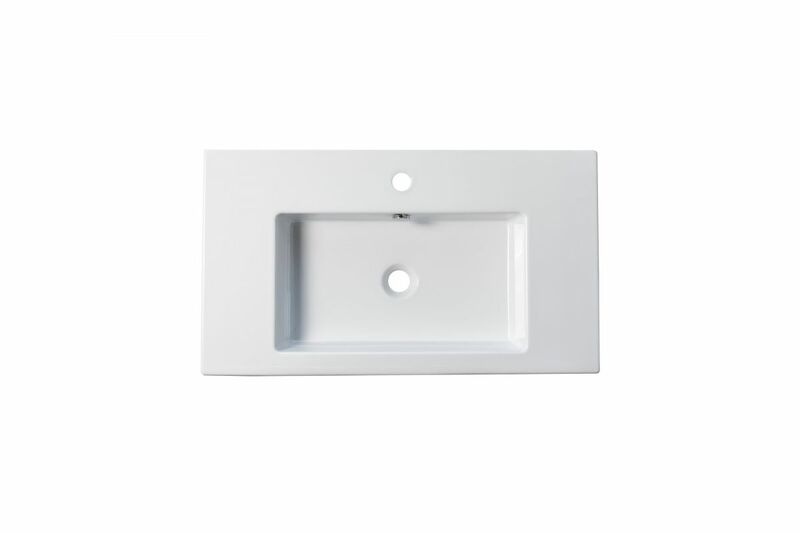 Its durable, non-porous surface makes it easy to maintain and very hygienic. You will enjoy a quality material and finish with the looks to create a beautiful bathroom. The Cangas range is a classic vanity design. 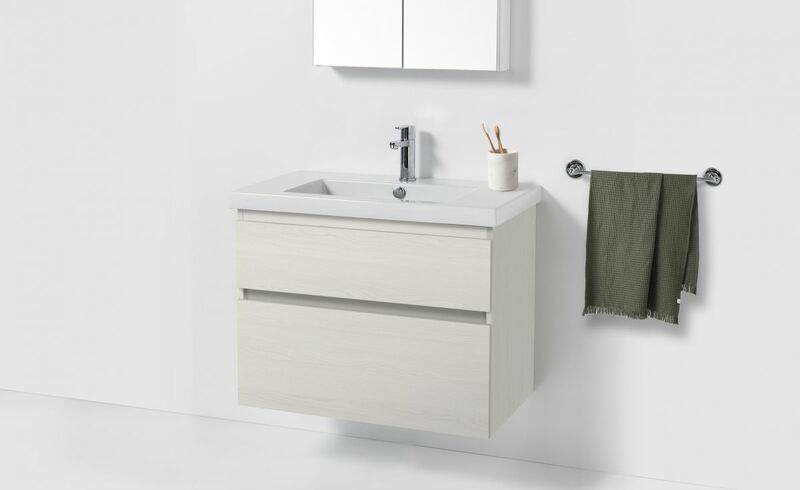 Boasting a full ceramic top with overflow from Europe, different drawer heights for storage variations, and smooth lines to create a seamless simple and elegant design. Ceramic top with overflow from Europe. Soft-close drawers. 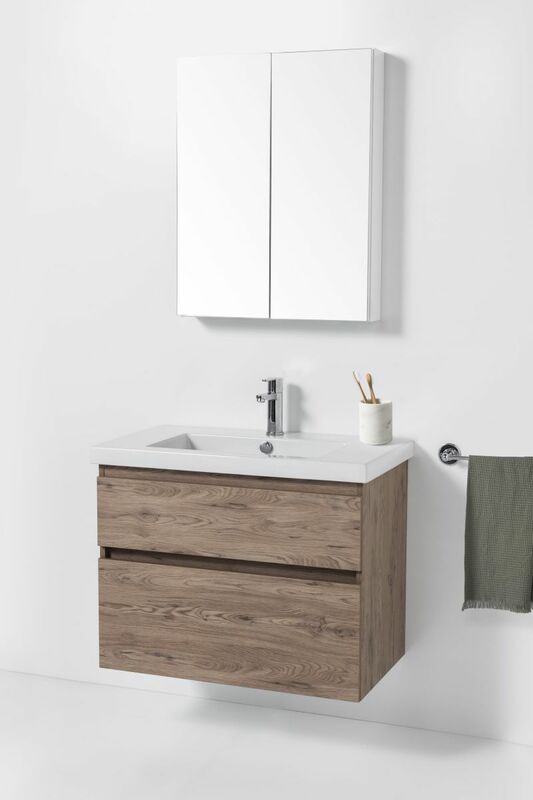 New drawer heights offer storage variations. 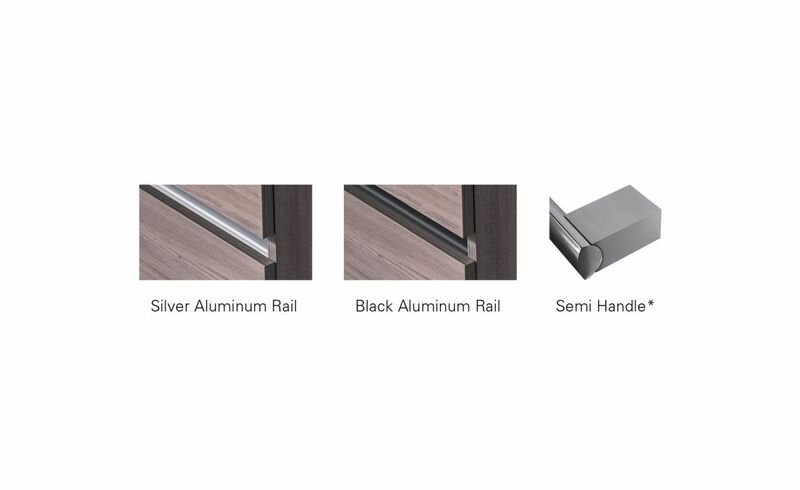 Other handle options also available in Silver Aluminium Rail, Black Aluminium Rail and Semi Handle (H2)*. 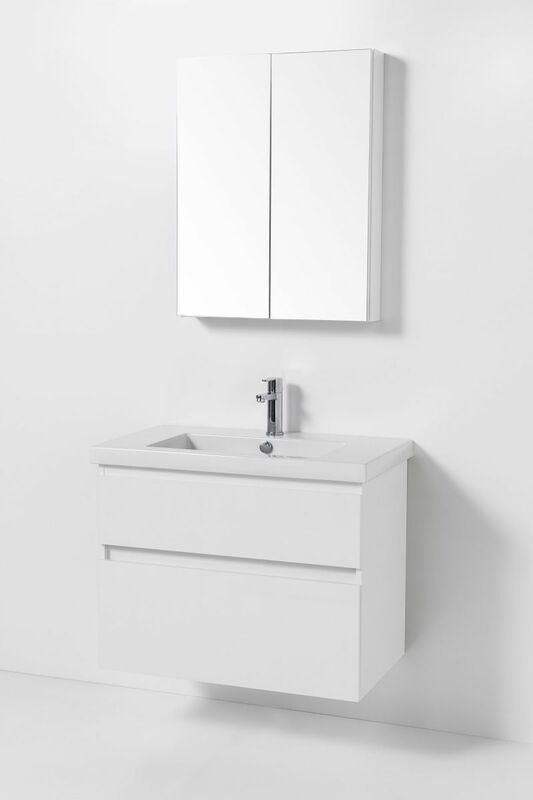 Available in White or Melamine. 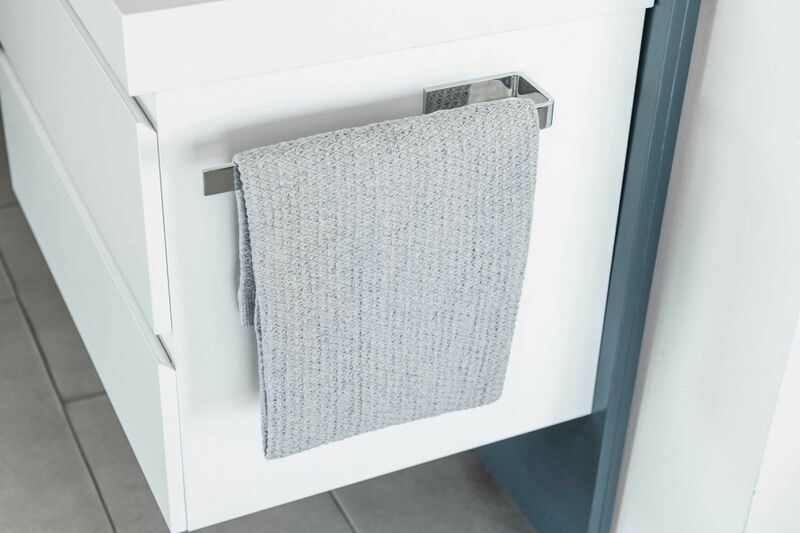 Maximise the space in your bathroom with a vanity towel rail. *Additional cost for Semi Handle (H2).